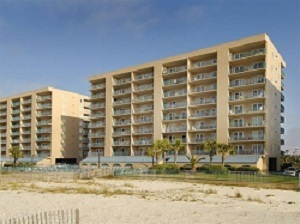 Gulf Shores condominium for sale at Surfside Shores. Beautiful 3BR/3BA Corner Condo At Surfside Shores. Located On The 7th Floor, This Unit Has Views Of The Gulf And The Lagoon With 2 Balcony's And 2 Master Bedroom's. Totally Upgraded With Tiled Flooring Throughout, Custom Cabinets, Granite Counters, And SS Appliances. Excellent Rental Income On The Books And Turn-Key Ready For The Season.